Jesus calls students to a radical faith and commitment. This study guide challenges middle and high school students to courageously take a stand for their faith in their culture and to make a positive impact at home, at school, on the team, and in their relationships. The time to make a difference is now - not when they graduate, get married or get a job. Students who follow Jesus cannot afford to equate 'good works' with evangelism and cannot view missions as something that is only done in other countries. Through this study guide, students will learn to share their faith in real and practical ways here and now with the people around them every day. Out Of The Shadows And Into The World by Jay Strack; Scott Dawson was published by Thomas Nelson in December 2011 and is our 24156th best seller. 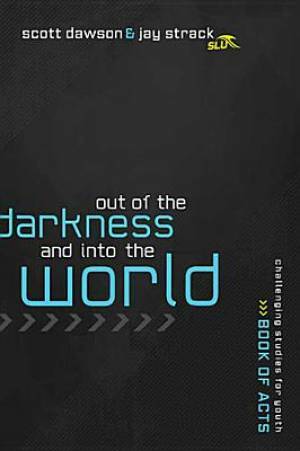 The ISBN for Out Of The Shadows And Into The World is 9781401675240. Be the first to review Out Of The Shadows And Into The World! Got a question? No problem! Just click here to ask us about Out Of The Shadows And Into The World.